Welsh Open 2012: Ding Junhui will combat with Mark Selby in the Welsh Final to strive for his first ranking title in 26 months. The Chinese has never won a ranking title since 2009 UK Championship, only reached 2010 China Open Final but lost to Mark Williams, aiming to break his trophy drought tonight. His semi-finals against Shaun Murphy was not that tough as he won comfortable by a scoreline of 6-2. 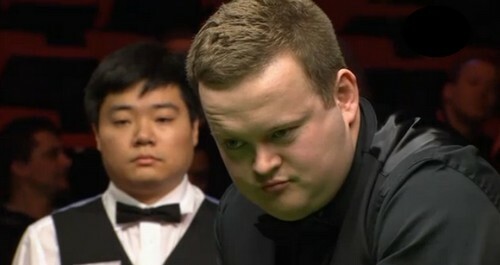 The first scrappy frame went to Ding Junhui before Murphy levelled with 126. The Sheffield-based player dominated the next frame with 91 although Murphy had the first chance to score in frame 4 but broken down on 39 which Ding produced 71 to go 3-1 up at the interval. The Magician won the fifth with 90 and looked like to level 3-3 but his scoring stopped at 31 during the sixth. Ding did not hesitate and made 86, 75 to reach the match point, 5-2. Murphy had couple of chances to start his fightback but missed let them slipped, The Chinese cleared up for victory and reached his first final of the season. Ding said, "In the last few weeks I have had my best practice for a long time and I feel my game is getting better. I'm really happy to be in the final and I played well today." World Number One Mark Selby ended Ronnie O'Sullivan's marvellous run since German Masters, with the same scoreline 6-2. Both of them were not at their best but Selby proved himself a better player. 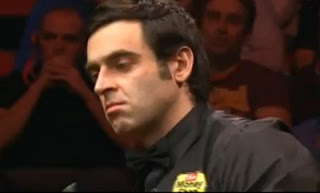 The whole match was scrappy and strange that Ronnie seemed to lose interests in the slow-playing style. 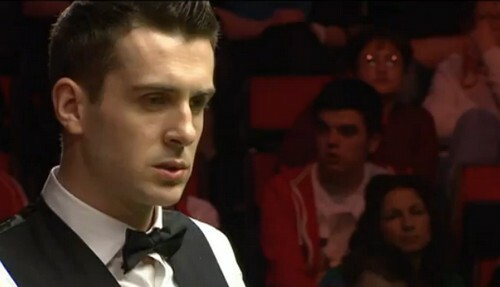 Selby was controlling through out the match with tactical exchanges as Ronnie looked tired and bored. "It was a strange game, we started off well but then in the third frame I missed a red and after that everything went scrappy," said Selby, who beat O'Sullivan 9-8 from 8-5 down to win his first ranking title here in 2008. "I had a bit of run of the ball and played decent safety. I did what I had to do. 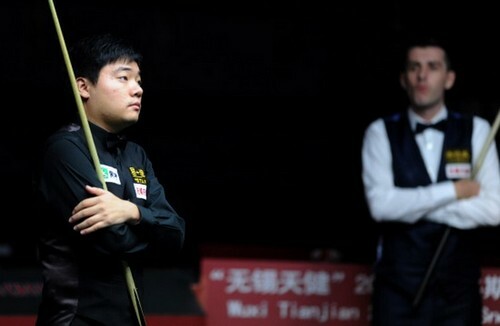 The third frame was important because if he'd gone 2-1 up he could have reeled off a few frames." Asked if he had been annoyed by O'Sullivan's suggestion that he plays slowly, Selby replied: "I don't take criticism on board because everyone has their own opinion. I'm not the type of person to feel as if there's extra spice to a match. To beat Ronnie in any tournament is a great achievement and to get to a final means a lot to me.'' He expressed his desire to win. "I just go out to win. If it takes five hours and you have to scrape me off the table then so be it. If I tried to play as fast as Ronnie I'd probably never win a match." The final is a 50/50 match and tough to call a winner. Ding Junhui is a better player in the final compare to Selby as he won 4 titles out of 6 finals he reached but Selby only recorded 2 victories out of 6. Moreover, Ding Junhui won their long-format by 13-10 meeting on World Championship quarter-finals last year although Selby levelled 10-10 from 6-10 down. Yet, Selby is now a different player after winning Shanghai this year and becoming the world number 1. Widening the gap early in the final will be the key to win. Final starts at 1pm while night session kicks off at 7pm. First to 9 will win the title.